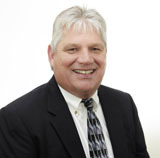 Mike Stockdale brings 30 years of experience in the home building and warranty industry. After serving the Northwestern territory as the PWSC Regional Sales Director, he is now adding the Director of Warranty Services to his housing industry-packed resume. In this role, Mike is PWSC’s lead Home Builder’s Limited Warranty (HBLW) salesperson and relationship manager for all prospects, clients, brokers and insurance carriers related to volume and/or large builders. He manages ongoing training and services new and legacy builders by ensuring that they are utilizing all of the PWSC products and services available to them. Mike currently resides in Olympia, WA with his wife and family.